My daughter comes up with some pretty cool ideas sometimes (but most of the time her ideas are pretty wacky!) and two of those ideas have made their way onto this blog in the past. These vanilla, raspberry and white chocolate cupcakes were the first to make it to the blog; next, her wonderful Madderneine Cake, complete with Persian fairy floss and rose petals. Today, she brings you something entirely different – pizza. I wasn’t expecting her to create a pizza recipe in the middle of the grocery store, but she did. She picked out a store-bought pizza base that already had sauce on it (however, yes, I know that homemade pizza crust is the way to go! ), diced bacon, baby portobello mushrooms and pizza cheese. I then mentioned to her that she should have some sort of fresh herb to top it off and give it a more vibrant appearance; she wasn’t sure which so I suggested oregano. We were eating one of the best pizzas we’ve ever eaten. She was very proud of herself and ate two slices of her very own pizza, along with a salad. I was blown away at how delicious it was; we’ve had it three times since! This is one of those easy recipes that you can have on the table within 20-25 minutes (if you use a store-bought pizza crust) and I highly recommend it for any night of the week! The recipe is at the end of this post. For dessert, we had the most amazing cupcakes that also happen to be vegan (I know, a bit strange to have a vegan cupcake when we just had bacon on our pizza, but we’re not actually vegans!). 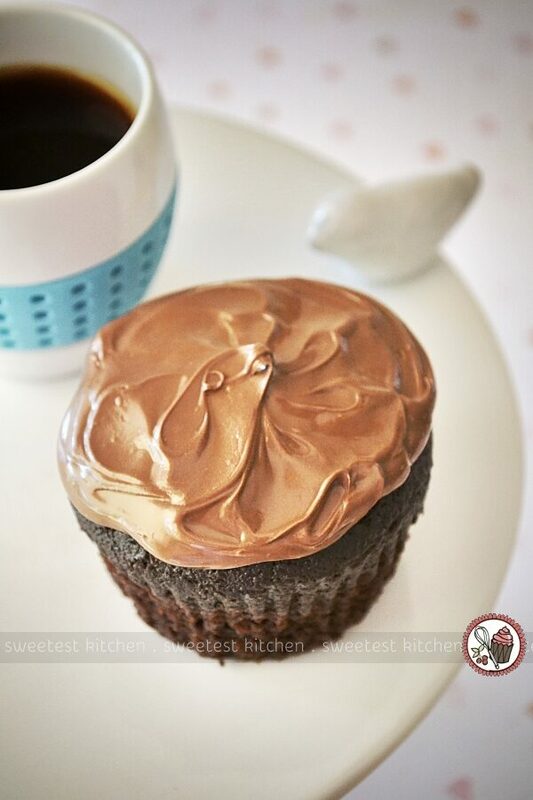 They are the fudgiest, most delicious chocolate cupcakes made with an extra secret ingredient – beets! The recipe comes from the always-fabulous Minimalist Baker. This was the first time I had used beets in a cake recipe and it will definitely not be my last! …pure Nutella on top for an afternoon tea (like I may or may not have done). They made an excellent dessert with my daughter’s pizza. If you’re after a perfect vegan cupcake, look no further than these beauties; you will not be disappointed. The recipe can be found at Minimalist Baker. A quick side note; after roasting the beets, I peeled them and threw the skin away after reading some comments that people who pureed the skins experienced a dirt-taste in their cakes. I experienced no dirt taste whatsoever; they were perfect. 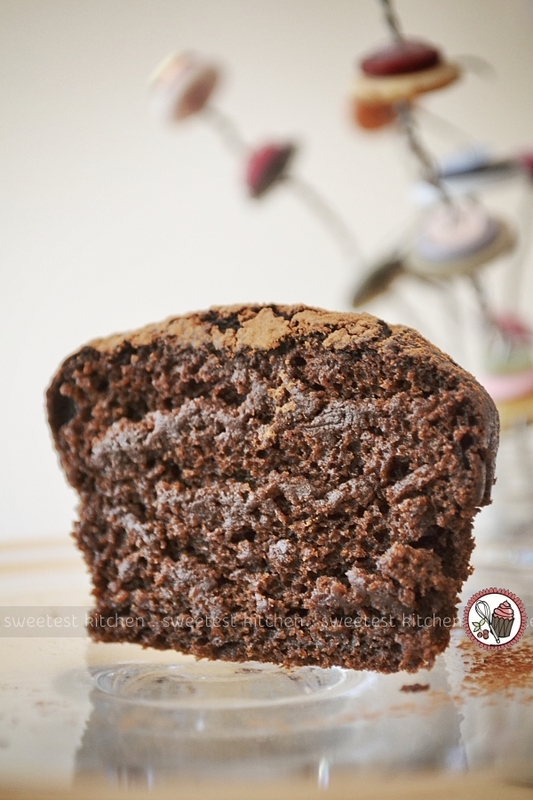 I used Ghirardelli unsweetened cocoa powder. 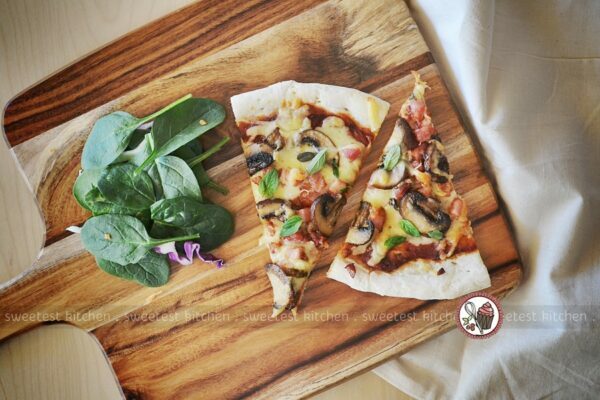 If you decide to make my daughter’s pizza for dinner one night, please let us know how like it in the comments below! Preheat oven according to instructions on the pizza crust package or recipe for your homemade crust. Heat the oil in a frying pan over medium heat. Add bacon and cook until golden. Transfer to a plate lined with a paper towel; drain frying pan. Add butter to frying pan and melt. Add mushrooms, stir, and sprinkle over garlic powder, stirring to evenly coat. Cook until golden and just tender. Transfer to a plate. Place pizza crust on a pizza oven tray. Spread pizza sauce over pizza crust - use more or less sauce to suit your tastes. Sprinkle over pizza cheese, again using more or less cheese to suit your tastes. Place bacon and mushrooms on the pizza. Sprinkle a thin layer of cheese on top. Place the pizza in the oven and bake according to the instructions on the pizza crust package or recipe for your homemade crust. Remove the pizza from the oven when the cheese is melted and golden. Cool slightly and sprinkle over oregano leaves. Serve with a salad. This recipe is designed to add more or less of any of the ingredients to suit your taste. Experiment to see what you like best! This pizza looks awesome, let alone those chocolate cupcakes. With the nutella on top? Awesome. Love the pizza recipe! Mushrooms and bacon are always a winning combination, especially when they come together so quickly. Thanks for sharing! I love your pizza recipe. 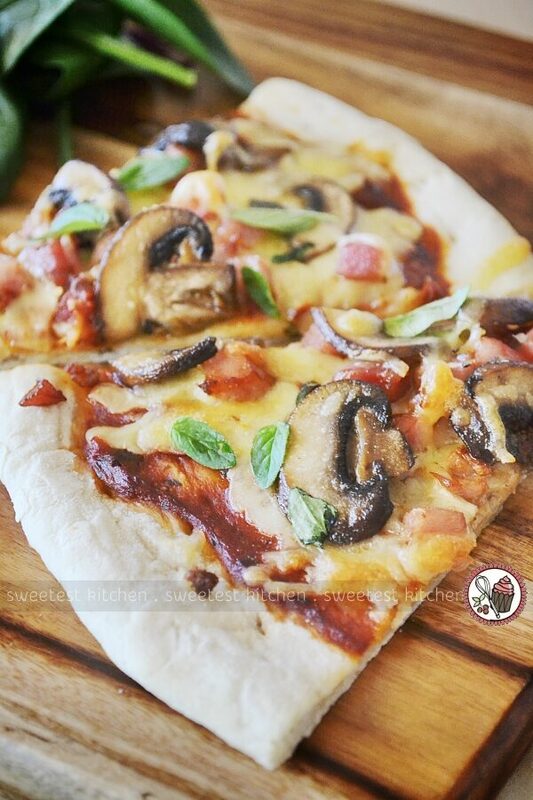 Mushroom and bacon are always perfect combination! And that cupcake is delish!